It’s not exactly fair to say that “a vocal minority” did not like BvS, when there are numerous reviews out there that prove a lot of critics didn’t like the film. Although, some did like Justice League a smidge more than BvS, the DC hero ensemble was still very messy. And in the wake of those bad BvS reviews, Warner Bros. found themselves scrambling to fix the situation before it could get any worse. 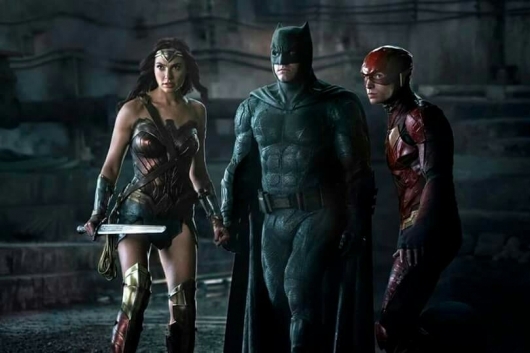 And with Snyder finishing principal photography, and exiting to address those personal matters, Joss Whedon stepped in to punch up some of the script and do some reshoots. Okay, hang on, Darkseid would have boom tubed into the Batcave to kill Lois? That wouldn’t have been out of the DCEU norm, at the time, considering all the shared universe was composed of was dark and brooding moments. All of this goes to show how interesting of a documentary this would be. Seeing those behind-the-scenes moments that very few of us know about, and I’m sure there is someone out there putting all of them together for a great piece. But we won’t really get to the heart of the matter until those truly involved speak out about it. Until then, we will just have to get these little morsels.